This is something that we use every day. It is a short little trick to login with a local user account instead of a domain account. By default, when a username is entered into a domain joined machine, and there is also a local account with the same name, the domain account will take precedence. We keep coming across people that don’t know this little trick, so we thought it would be worthwhile sharing. 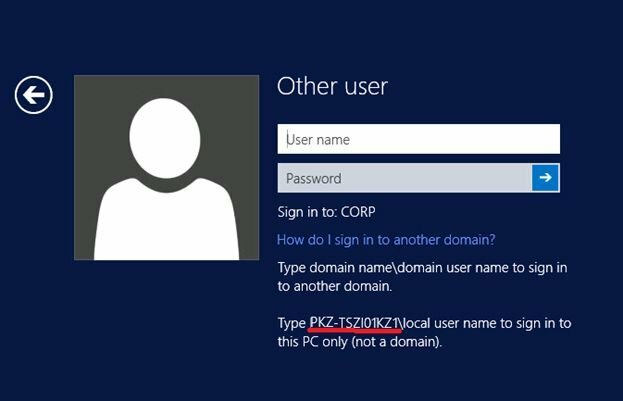 After the computer is added to the Active Directory domain, you can sign in under the domain or local user account. 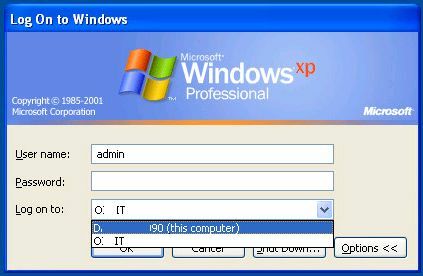 In Windows XP and Windows Server 2003 on the login screen there is a drop-down list “Log on to“, in which you can choose whether you want to log in under the domain account or using local user (select “this computer”). 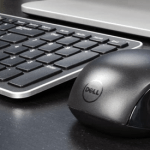 Type domain name\domain user name to sign in to another domain. As you can see, the message contains the name of your PC (PKZ-TSZI01KZ1 in our case). If you want to login with local account, for example, Administrator, type in PKZ-TSZI01KZ1\Administrator in User name field and type the password. Of course, if your computer name is quite long, its input can be a real challenge! Fortunately, there is a simple trick that allows you to log in under a local account. Windows uses the dot as the alias symbol for the local computer. In the username field simply enter .\ and the domain below will disappear and switch to your local computer name. Then simply finish filling out your username after the .\ and it will use the local account with that username. You can also type the computer name followed by a backslash and the username and it will accomplish the same thing. This way you can logon to a local account on a domain joined computer on all Windows versions starting from Windows Vista an ending with Windows 10/Windows Server 2016. Tip. The same trick can be used when you need to use the local user credential when access the shared folder over network (using SMB protocol). OK but how do I know what password to use? Do I use the same password as the one I use IN the domain? No, if the account has a password it will be the password of the local account, it’s not the same as the password of your domain account, unless this has been configured this way. I’m having the same problem. I’ve used the.admin trick…and it worked. Now I need a trick to either figure out the password, or bypass it. My laptop screen is busted, so i have to use the HDMI port to a flatscreen tv. I can’t see the bios on bootup, because the port only activates at the gui. On my Mac, I have to connect to a PC using this format: password@ComputernamePC as the username. I tell it to remember this in my keychain but it does not remember the username. Is there a way to create a shortcut with the information embedded? you should check out the tools of comtarsia!! I managed to log into a local account with this guide on Windows 10.